In a previous post, I wrote about the importance of consistency, and in order to practice consistency in life, it’s essential to understand methods of self-control. In essence, our thoughts reflect our feelings and result in our stress response (hormone production), our impulses, our actions, and ultimately our behavior. So, our thoughts translate into behavior and with consistency, become habit. It is through learning to control our thoughts while practicing consistency that we attain goals and are able to see the affect of instant gratification vs. delayed reward. While the concept of controlling thoughts may sound easy, it is a challenge. 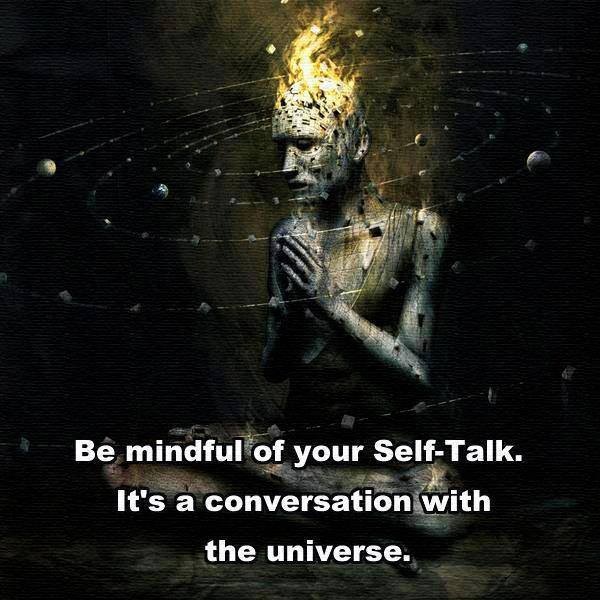 With this, there are ways to help yourself attain control over your thoughts for the better. First, the most common strategy for thought control is meditation. Eight years into personal practice has taught me to be humble and patient with my mind. It was not until I participated in a guided meditation by Vedic Conservatory founder, Michael “Mukti” Buck, that I understood the importance of self-control in meditation. In working to quite my mind, I pressured myself to meet a personal expectation becoming distracted and frustrated, the fidgeting began. In response, Mukti advised, “Your mind is like a drunken monkey. If you can quite the drunken monkey just for five minutes, you have mastered your mind.” Mukti made it clear that reaching the goal of five minutes would be a challenge but this “ah-ha ” moment six years ago gave me clarity. Now, instead of working to fulfill an expectation, I don’t work at all. I relax and breathe. I succeed if i find a few minutes within the 30 minutes to quieten my drunken monkey. Although this may not work for everyone, another way to attain a clear mind and a step closer to self control, is through activity. Whether the activity be productive, restorative, or leisure, its important to engage in activity that encourages healthy behavior and allows you to focus on the task at hand instead of letting thoughts wonder. For me, they are painting and exercise. In these activities I’m allowed to sometimes, but not always enter into a state termed “flow”. The term and concept of flow has been coined by Hungarian psychology professor, Csikszentmihalyi Mihaly to explain the mental state in which a person performing an activity is fully immersed in a feeling of energized focus, full involvement, and enjoyment in the process of the activity in which one loses all sense of time and is completely engaged in the activity, which results in a refreshing experience. Like meditation, it may take some time to find your flow. Just stay consistent and don’t get discouraged. Lastly, the concept of instant gratification vs. delayed reward is crucial in understanding our thoughts and self control. Author and researcher, Walter Mischel has studied self-control over 50 years and has recently published “The Marshmallow Test”. In his studies, he asks, can we actually increase our self-control? Mischel’s response is yes, if you believe you can and if you really want to. According to Mischel, having the right mindset is not enough. He introduces four strategies to increase self-control. Step One – Create “IF…THEN” Rules. For example, IF I do not exercise today, THEN I will have to exercise twice as long and hard tomorrow. Or, IF I stop speaking negative about my health, THEN my health will start to improve! Step Two – Visualize the outcomes of a decision. For example, if you are tempted to smoke, visualize a cancerous lung. Or, if you aim to exercise regularly, visualize your body becoming healthy and strong. Step Three – Distance yourself from the situation. For example, if you are trying to change your eating habits, don’t go down the desert isle at the grocery store. Or, if you are trying to change a negative point of view, stop surrounding yourself with people who hold that same view. Step Four – Shift your focus from hot to cool properties. For example, try shifting your focus of an unhealthy food item from the desired (hot) properties to the less desired (cold) properties. Another way to look at is to be aware of the long-term pain you may experience because of a short-term pleasure, eg. Eating a desert that contains 1,000 calories will take hours of exercise to burn off. As a conscious healer and/or “health seeker”, what strategies have you tried for self-control? How has self-control helped you reach your health goals? Which techniques have helped you and which ones have been difficult? Try the four steps outlined above to help you develop self-control. Share strategies, not discussed here, that helped you reach your goals.